The growing number of designers in the Hyderabad city is bound to create new chapters in the fashion book and the glow from the Pearl City was all visible on the Lakme Fashion Week ramp. Look at the creative outcomes from designers who thrived to shine Hyderabad on the most desirable ramp. Anushree Reddy who made her name synonymous to flattering wedding lehengas has come out with a new crop of her collection “The Wedding Chronicle” on the Lakme Fashion Week Winter/Festive 2016 and yet again proved the prowess of flower power will continue to reign the fashion world. 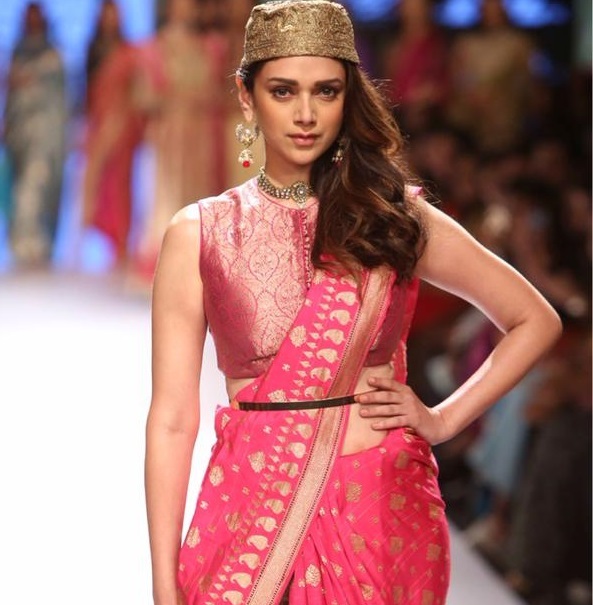 Her royal play with signature color palette comprising of pinks, reds, yellows and blush colors defined the grace aesthetically and the detailed motifs complemented the overall look. Foraying with her unique mark of incorporating class and leading edge style in the same costume, Architha Narayanam is one of the best designers to look out for in the Lakme Fashion Week. Her contemporary approach to the traditional weaves created a vibrant magic that everyone tends to get lost in it. Intricate gold embroidery over reds, turquoise, creamy mustards and silky beige recreated feminine sensibilities encapsulated with shine all over. Being one famous name in the list of handwoven garment creators, Gaurang has dished out the elegance resides in India through his complete ethnic wear made out from rich color palette. Benarasis and bandhini textiles in metallic hues, bold and heavy pattu borders and rich patterns brought his collection a mode of divinity that never fades out. This Lakme Fashion Week winter/festive 2016 ramp has witnessed some grand moments of breaking stereotypes in the fashion game as versatile designers from across the country had well executed their creations by holding to a basic tenet of not-so-basic. For some it is their favourite muse made all the magic over the exquisite designs, others are summoning credit to nature and etc. The ramp has all turned up like a kingdom where women emperors rule when models took the stage for the designer Payal Khandwala. The designer’s new collection ‘The New Emperor’ is set to show the grace and demure of the women who never shy to stand as a leader. Collar necks, aesthetically rolled up sleeves, regal cuffs, jackets, bold lion prints and many more elements in the collection added manly twist for the feminine look. Shoes, Rackets, head caps and obviously the next version of tennis uniform inspired creations made the designer Ritu Kumar totally standout from the whole penchant of the Lakme Fashion Week. Sporty designs on beauties calls out the game spirit in us while making us not to forget high fashion rules. Catch all the fun playing with shirt dresses, contemporary tennis uniforms and off-the-shoulder tops. From the designers Monica Shah and Karishma Swali came out was the collection ‘Itvara’ which has the unique range inspired from the assumed bohemian spirit. Fuss-free and happy to wear outfits in rich jewel tones set the ramp a place dedicated to a wanderer. Like a glitter painted heaven on the earth, Lakme Fashion Week 2016 replenished its own excitement and was all sparkles with the celebrities walking for various renowned designers in the fashion industry. The first day marked the grand opening of this season by Bollywood Queen Kangana Ranaut and kept the intact were many of our favourite stars including Sushant Singh Rajut, Shraddha Kapoor, Ileana D’Cruz, Arjun Kapoor, Karisma Kapoor, Pooja Hegde, Jacqueline Fernandez, Ranbir Kapoor, Shilpa Sheety and Prachi Desai. Since the starting of the event to it’s grand ending, the total event was bound to bring out a variety of design excitements, celebrities emotions and ofcourse the refreshing themes from the design masters to create a remarkable show ever. On the first day, Manish Malhotra with his showstoppers Sushant Singh Rajut and Shraddha Kapoor at the forefront with engraved backdrop of fountain and flowers flaunted his adorable collection which is every bride’s desire. While the second day commemorated the ‘The Textile Day’ by showcasing weaves from designers Pranami, Padmaja, Priyanka of P.E.L.L.A and more. Day 3 is explicitly a designer feast as designers Rara Avis, Payal Singhal, Arjun Saluja, Rajesh Pratap Singh and Divya Sheth unveiled their song of absolute fineness through their cultural prints and exquisite weaves. The day before the last day bring together royal collection from designers Ritu Kumar, Payal Khandwala, Shivan and Narresh, Shantanu and Nikhil and Ashish Soni. Well, the total four days of the show is one part and the last day is another as Kareena Kapoor Khan took the ramp together with her baby and is simply alluring in Sabyasachi’s opulent collection. The mom-to-be was seen going emotional at various point of her walk as she was touching her bump with lots of love. Alongside the energetic ramp, talented designers, stunning models and magnificent ambience, Lakme Fashion Week 2015 has also loaded a lot of highlights to discuss about. In this five days persistent show, the raise of fresh and a dose of traditional style have fuelled the event more exciting. Here are some of the highlights from the LFW 2015 to check out. With unveiling of designs from renowned designers including Payal Singhal, Nikhil Thampi and Manish Malhotra, LFW 2015 day 1 was sure an eye treat for onlookers. 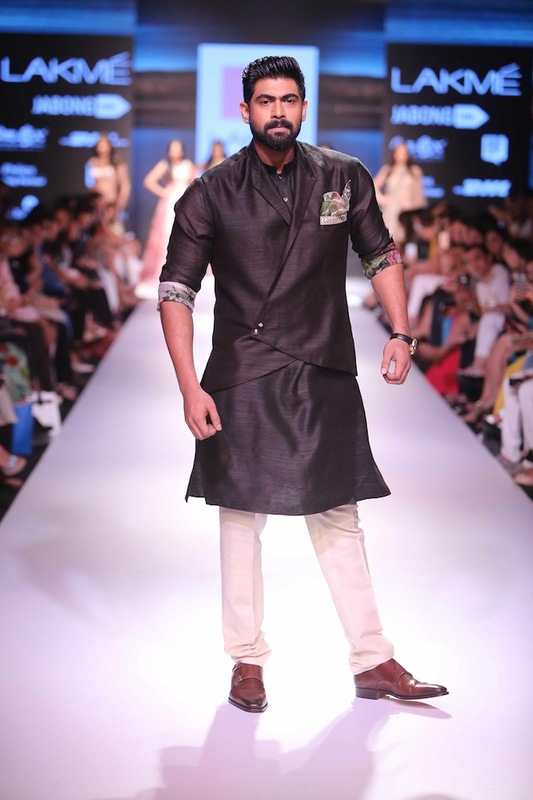 Prolific designer Manish Malhotra took the ramp to debut the first ever menswear show ‘The Gentlemen’s Club’ which marked Ranbir Kapoor’s ramp walk in a traditional sherwani, jacket and bandhgala. Day 2 melted the ramp with special designs of Indo-Western wear, more of traditional. It was the day of three designers Padma Shri Ritu Kumar, Swati Vijaivargie and Rinku Sobti who exhibited their creations with the help of Aditi Rao Hydari, Lisa Haydon and Gauhar Khan. Anarkali jackets, nazakat dhotis, salwars and imperial skirts from Prem Kumar, Arjun Saluja, Kallol Datta, Ankur Modi and Priyanka Modi nudged attendees to a world of fantasy as the designs were rooted out from the inspiration of historical past, human emotions and a lot of unconventional concepts. 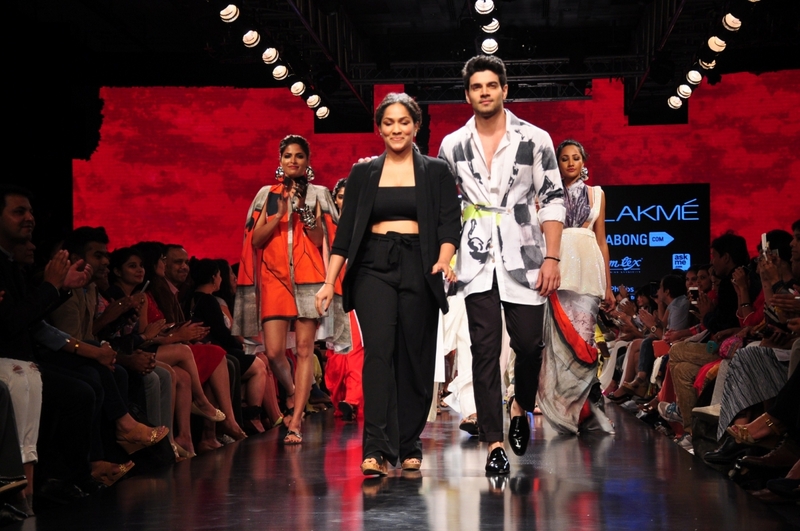 On day 4, the ramp has got a breathe of fresh with Sooraj Pancholi’s walk and newly wedded Shahid Kapoor, Mira Rajput presence. 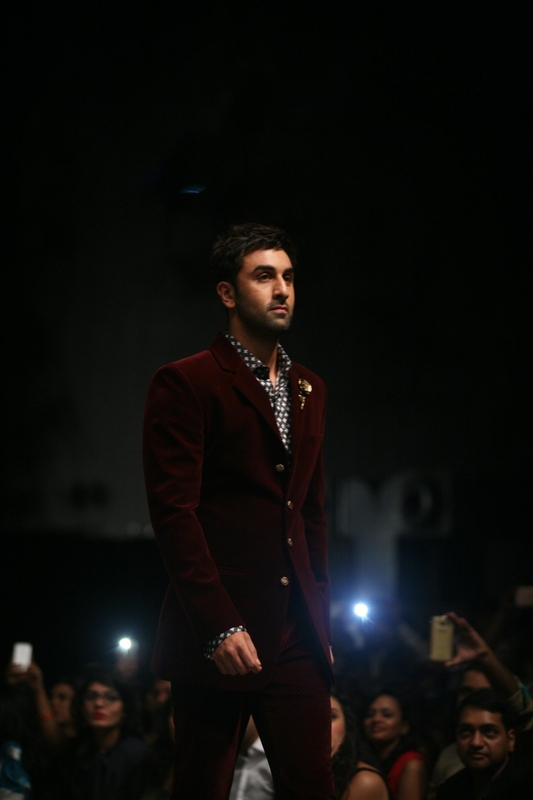 Hero from the ‘Hero’ movie walked for the creations of Masab Gupta while the Kapoor pair remained show stealers with their first public appearance. Day 5, the last day has set the alarms on for people seeking for dazzling appearances on the stage. The vibe was accelerated by beauty Kareena Kapoor Khan getting herself in Gaurav Gupta’s design while Shilpa Shetty sizzled the ramp in Divya Reddy’s attire followed by Kriti Sanon in Sonaakshi Raaj creations, Amy Jackson and Rana Daggubati in Anushree Reddy’s collection.